We have decided to place the individual books from Emerald City in our Green Ronin Online Store as separate PDF downloads. 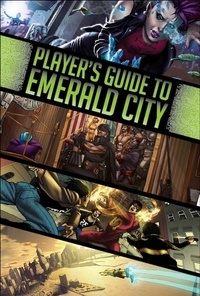 If you’re a player and don’t need the gamemaster information from Secrets of Emerald City or the Emerald City Knights Adventure Series, you can now purchase just the Player’s Guide to Emerald City for $10. 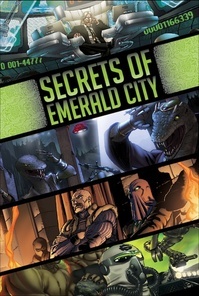 If you’re a GM running a campaign in Emerald City, but you already have all the Emerald City Knights PDFs from when the adventure series was released as separate PDFs, you can just pick up Secrets of Emerald City for $15, or that plus the Player’s Guide. 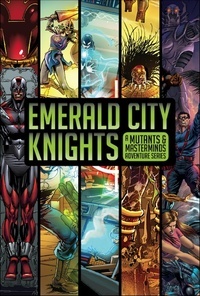 Or, if you just want the Emerald City Knights Adventure Series as one PDF download, you can get that for $10. Note: These are the same PDFs found in the Emerald City PDF set. Also, Secrets of Emerald City includes a PDF of the city map.